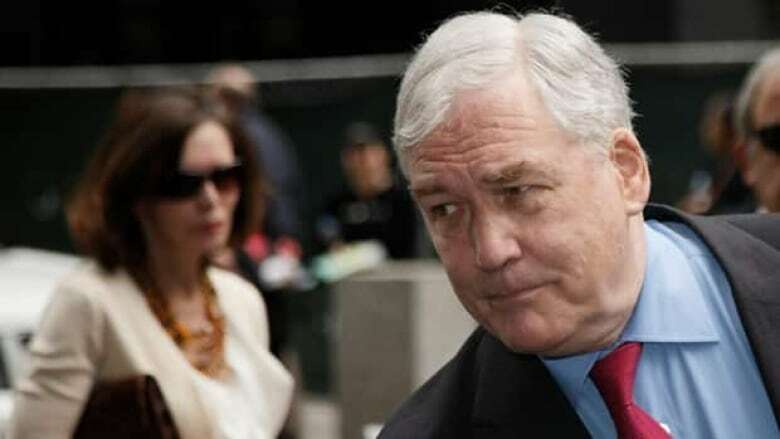 Fallen Canadian-born media tycoon Conrad Black is scheduled to be released from a U.S. prison by next weekend, according to corrections officials. The Federal Bureau of Prisons online inmate locator lists Black's release date from Miami's Federal Correction Institution as next Saturday. Bureau spokeswoman Tracy Billingsley told CBC News the date is only a "projected estimate" of a release date but is "generally accurate.'" But she added Black could be free as early as Friday. "When a release date falls on a weekend, we can release them on the Friday prior to that weekend," Billingsley said Sunday. Black, 67, was resentenced last June to 42 months in prison on fraud and obstruction of justice charges. Black had already served 29 months in the Coleman federal prison in Florida before the U.S. Supreme Court struck down some of his initial convictions, citing a misuse of the "honest services" provision of the U.S. fraud statute. His original sentence was for 78 months in prison after multiple convictions on fraud and obstruction of justice charges. Should Black regain his Canadian citizenship? Take our survey. The court agreed to accept the 29 months he had already served as part of his new sentence of 42 months. In an interview with Matt Galloway of CBC Toronto Radio's Metro Morning last August, Black talked about the possibility of eventually getting back the Canadian citizenship he renounced in 2001 to take a seat in the U.K.'s House of Lords. He said he wants to return to Toronto, because that's where his wife, journalist Barbara Amiel, lives, but he won’t try to get his Canadian citizenship right away. He owns a home in Toronto, but Canadian officials aren't disclosing whether they will allow him back into the country.